The Beastball (魔球, Devil Ball) is an item in Super Smash Bros. Ultimate. The Beastball is a baseball originating from the real-life sport. The name "beastball" is likely a play on words due to the item being a baseball, and its habit of chasing opponents after being thrown (akin to a "beast"). In Japanese, it is instead known as the "Devil Ball", which fits its aggressive homing ability. The Beastball functions as a throwable projectile item. After being thrown, the Beastball will initially travel a short distance forward as expected, but will quickly disappear in a flash of blue flame and reappear next to the nearest opponent, targeting them with a flaming tackle. If the initial throw hits an opponent, that foe is guaranteed to be hit by the second tackle. The second tackle has very high accuracy, being capable of hitting opponents even if they're already experiencing high knockback. Dropping the Beastball with a Z-drop will not cause it to target anyone. Equipping the Slugger & Green Glove, Pitcher & Batter, Inuji Darumeshi or Rusty Slugger Support Spirits will give the player a Beast Ball at a start of a match. 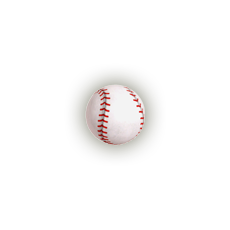 The Beastball is one of the two existing items original to the Smash Bros. series that represent the game of baseball; the other is the Home-Run Bat. This page was last edited on February 21, 2019, at 00:45.